I was approached a few months ago by a group wondering what kinds of collaborative software might exist to support something called Sociocracy. That was the impetus of my latest journey into the world of organizing on democratic principles. This will be a lot more than one post, so I need to start with a general background on Sociocracy. It was a movement started in the 1970’s as a way of running business based on the principles of sociology. It is based on the ideas from Cybernetics (see Norbert Weiner and Stafford Beer). It was promoted in the 1970’s primarily by Gerard Endenburg from Holland. There seems currently a resurgence for looking at ways of running groups in a non-traditional ways. 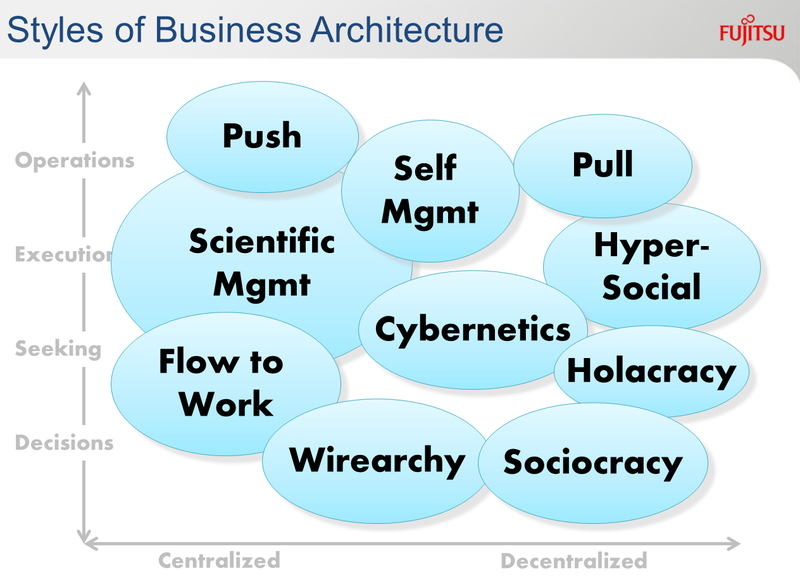 In an earlier post I covered the idea of self-management (Absolutely Self-Managed Workers) and a post on Wirearchy (Wirearchy – a pattern for an adaptive organization?). John Hagel talks about Push and Pull organizations (The Power of Pull: Just Win, Baby). Tony Hsieh of Zappos has put Holacracy in the news recently, and the distinction between this and Sociocracy is not clear to me. These all seem to be appearing as alternatives to the more traditional scientific management (It is All Taylor’s Fault). A cadre of organizational heavy hitters (Brynjolfsson et al.) has called out in “Open Letter on the Digital Economy” for a set of changes in public policy and research on how the economy is structured. Steve Denning covered this in his article “An Open Letter From Silicon Valley Calls For Bold Organizational Reform” where he mentiones Sociocracy as one of 3 dozen initiatives for promoting innovative new organizational structure. The Sociocracy movement in North America seems to be concentrated around the Sociocracy Consulting Group, which includes John Buck and 7 others offering training in the method, and a loose confederation of others consultants (notably Sharon Villines) all somewhat associated with The Sociocracy Group from Holland. John Buck reached out to Fujitsu to see what capability we might have for flexibly supporting the working patterns of sociocracy. This is not really a BPM problem. The people who participate in a sociocratic circle are knowledge workers. Thus you need something like case management. He introduced me to a team of people looking to figure out exactly what would be needed. Like all knowledge workers, the people running a sociocracy want to focus on their day job, and not on the software they are using. The idea is to come up with something that fits the working patterns of a sociocracy without needing a lot of customization. The idea intrigued me. I hope to cover some of the progress in this direction in future posts. For now, I hope only that this post has made you aware of a new, and up-coming innovative way to organize people. This entry was posted in Adaptive Case Management, Social Business, Social Network and tagged Sociocracy. Bookmark the permalink.